We’ve used the sabermetric statistic WAR (Wins Above Replacement) to determine the twenty best baseball players of all-time. We chose WAR to do the ranking because it attempts to account for all of a players contributions and adjusts for what era they played in. Just edging out Mickey Mantle for the 20 spot is the man they called Tom Terrific. Pitching for the Mets, Seaver won Rookie of the Year in 1967 and during his 11 ½ years with New York he won three Cy Youngs, took five strikeout titles, won a World Series and appeared in ten all-star games. He was traded to Cincinnati in 1977 and went 75-46 during his 5 ½ years with the Reds, leading them to the World Series in 1979 and finishing Cy Young runner-up as a 36-year old in 1981. A one year return to the Mets in 1983 was not particularly successful, but Seaver managed to finish his career by putting up above-average numbers in his late 30s and early 40s with the White Sox and Red Sox. Seaver was elected to the Hall of Fame in 1992 with 98.84 percent of the vote, the highest percentage any inductee had ever received. Key statistics: 2.86 ERA; 311 wins; 3640 strikeouts; 3 Cy Youngs; 12 all-star appearances. Rickey Henderson was one of the most exciting and colorful baseball players in Major League history. Busting into the league as a base stealing extraordinaire, Henderson swiped 100 bases in 1980 as a 21-year old and two years later set the all-time single season record for base swipes with 130. He would go onto become baseball’s all-time leader in stolen bases and runs and finished second all-time in walks. While Henderson was basically a singles hitter the first five years of his career he began hitting more and more home runs in his mid-twenties and his burgeoning power redefined what it meant to be a leadoff hitter. Henderson ended up slugging 297 homers throughout his 25-year career, including a record 81 leadoff round trippers. Despite his immense talent, Henderson had quite the nomadic baseball career, including four different stints with the Oakland A’s, his original team, and nine other stops. Henderson was elected into the Hall of Fame in 2009 with 94.8 percent of the vote. For the first half of his career Lou Gehrig teamed with Babe Ruth to form the most fearsome slugging duo baseball has ever known. Then, when the Big Bambino retired, Gehrig got even better and the Yankees didn’t seem to miss a beat. The Iron Horse averaged close to an RBI per game during his career and had twice as many walks as strikeouts. He played in 2130 straight games between 1926 and 1938, had an incredible lifetime .OPS of 1080 and won two league MVPs, finishing in the top five of voting eight times. 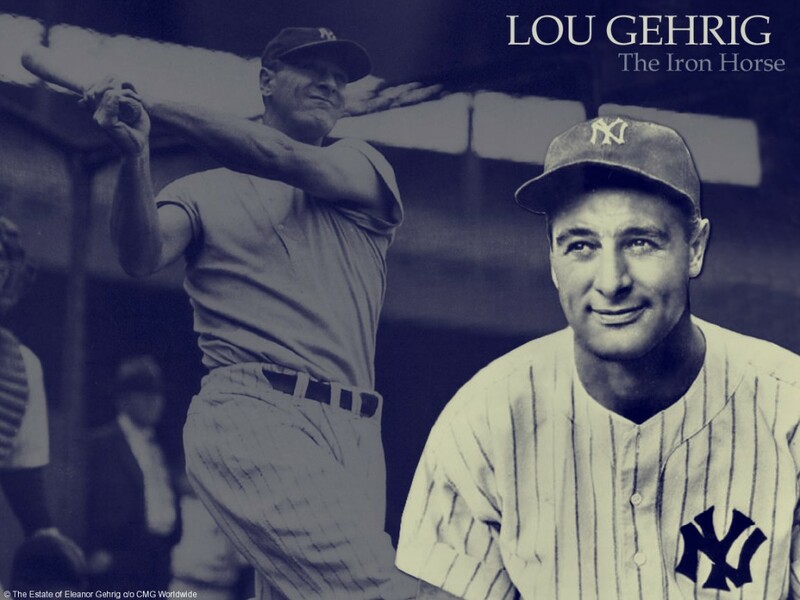 Lou Gehrig is also known for the disease that cut short his baseball career and now bears his name. His “Luckiest Man On The Face Of The Earth” farewell retirement speech at Yankee Stadium in 1939 rates as one of the great orations in American history. Gehrig was inducted into the Hall of Fame in 1939 by special election, becoming at 36 the youngest ever enshrined. Lou Gehrig died in 1941. Key Statistics: 340 batting average; 1992 RBIs; 1888 runs; 493 home runs. 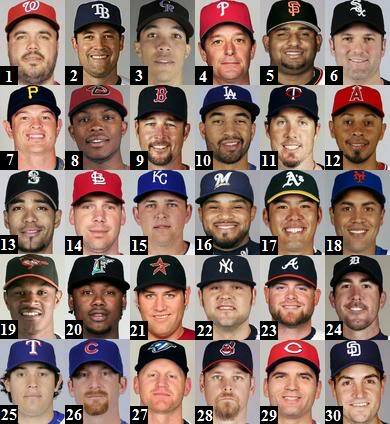 With Alex Rodriguez, we get to the first controversial pick on this list. A-Rod’s statistics are undeniable and he’s been one of the most dominant players in the Major Leagues since taking the baseball by storm in 1996 with a .358 batting average and 36 home runs as 20-year old with the Seattle Mariners. Since then he’s racked up 3 MVPs, a 40/40 season, 14 all star appearances and for most of his career was on pace to become the third man in Major League history to finish with over 700 home run. But Rodriguez has also been tainted by his association with performance enhancing drugs, admitting he took steroids between 2001 and 2003 when he played with the Texas Rangers. In 2013 Rodriguez was given an unprecedented 211 game suspension for his involvement in the Biogenesis PED scandal. He continued to play on appeal but in the off-season an arbitrator ruled A-Rod out for the entire 2014 season. While the modern baseball fan might not know a lot about Kid Nichols he was a pretty big deal during his playing career. Debuting for the Boston Beaneaters in 1890, Nichols promptly ran off ten straight 20 win seasons for the interestingly named squad. In seven of those ten years he hit at least 30 victories. So t should be no surprise that he is the youngest pitcher to ever reach 300 wins, doing so at age 30. Key statistics: 361 wins; 2.96 ERA; 7x 30 game winner. Named after the 24th President of the United States, Grover Cleveland Alexander certainly commanded the mound during his 20 year career. It was a career that started with a bang, as he set a rookie record for wins with 28 during his 1911 debut with the Philadelphia Phillies. A hard throwing right hander ,Alexander became the premier strikeout pitcher in the National League, winning the K crown in six of his first nine years and topping 30 wins three times. While fighting in World War 1 in 1918 Alexander suffered from mustard gas exposure and shell shock, which brought on epileptic seizures. These health problems exasperated what was already a problem with alcohol. YetAlexander still managed a couple more terrific seasons after returning home for the war, and even put up 21 wins in 1927 as a 40 year old. Grover Cleveland Alexander was inducted into the Hall of Fame in 1938. If this list was just based on hitting ability, Ted Williams would be much higher. But WAR takes into account running and fielding and the Splendid Splinter was notoriously poor in those areas of the game. But boy he could hit. With a left-handed swing that all other swings are compared to, Williams had a career on-base percentage of .482. Williams was five-time home run champ, a six-time batting title winner, a two-time MVP and his already gaudy stats (and overall WAR) would be considerably better if he didn’t missing close to five prime years serving in the military in World War 2 and the Korean War. In 1941 Williams batted .406 and became the last player to ever hit over .400. Williams won his fifth and sixth batting titles as 39- and 40-year old and posted a 1.096 OPS in his final season as a 42-year. He was elected into the Hall of Fame in 1966 with 93.4 percent of the vote. Key statistics: 1.116 OPS; 344 batting average; 521 home runs; 19x all-star; 2x triple crown winner. Speed demon Eddie Collins terrorized the basepaths over his long major league career. During a two week period in 1912 Collins stole six bases in the same game twice — and remains the only player to do it even once. You have to get on base to steal, and the second baseman for the Philadelphia Athletics and the Chicago White Sox boasted a .424 career on base percentage. While players of his era didn’t strike out nearly as much as they do today Collin’s 1923 season, in which he only whiffed eight times in 633 plate appearances, is still a feat to marvel at. Collins was elected to the Hall of Fame in 1939, and baseball historian Bill James has called him the best second baseman to ever play. In 1922 Rogers Hornsby took the National League Triple Crown while hitting .401 with 42 homers and 152 RBIs. This was his best season, but it wasn’t really out of the norm for the second baseman, who hit .400 two other times and also won the Triple Crown (and hit .397) in 1921. Hornsby spent his first 12 years with the St. Louis Cardinals, helping them to their first World Series title in 1926, final year with the club. Over the next three years he played and posted elite numbers for three teams — the New York Giants, Boston Braves and Chicago Cubs — with his gambling problems and constant fights with management making him hard man to keep around despite his amazing production. 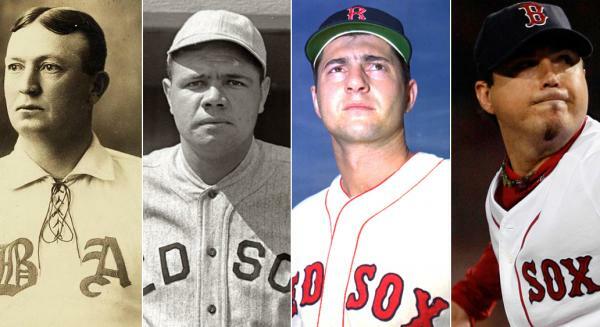 From one St. Louis legend to another, Stan Musial grabs the 11 spot on this list. A supremely gifted hitter, Stan the Man won seven National League batting titles and was a 24-time all-star. Musial captured his third MVP award in 1948 at age 27, and finished runner-up four times after that. Musial’s power came late, never hitting more than 19 home runs before he busting out with 39 in ‘48. Still he managed to finish his career with 475 round trippers. His 3630 hits are the fourth most of all-time and the most with just one team. Known as a consistent hitter, Musial managed to get exactly 1815 hits at home and 1815 on the road for his career. Musial was elected to the Hall of Fame in 1969 with 93.2 percent of the vote. 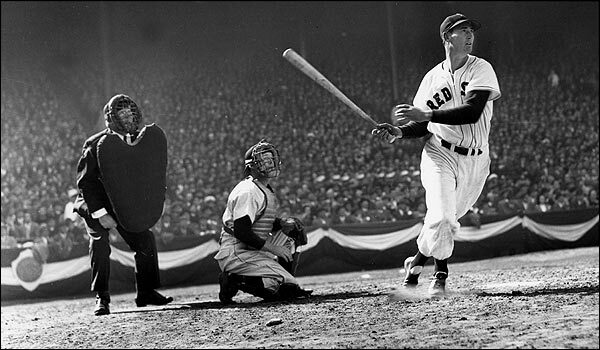 Key statistics; 3630 hits; .331 batting average; 1951 RBI; three MVPs; 24x all star. Wagner is considered by many to by the greatest shortstop who ever lived. Called the “Flying Dutchman” because of his speed and German heritage, Wagner played 21 years, the last 18 with the Pittsburgh Pirates. He won eight National League batting titles, which is tied for the most ever with Tony Gwynn, and five stolen base crowns. While his 101 career home runs don’t seem like much, Wagner played exclusively in the deadball era and that kind of power was enough for him to lead the league in slugging five times. Wagner is also famously the subject of the most valuable baseball card of all-time, the American Tobacco Company T206 Honus Wagner, which last sold for $2.8 million. Wagner was one of the original five players elected into the Hall of Fame in 1936. They called centerfielder Tris Speaker “The Grey Eagle” or “Where Triples Go To Die.” They could have also called him Mr. Double, as Speaker hit more two base hits than anyone else in baseball history. Would some of his 792 doubles been homers if he hadn’t played the majority of his career in the deadball era? Nobody will ever know, although in 1912 he did manage to lead the American League in long balls with the meager total of ten . Nevertheless, Speaker’s stats are pretty impressive even without a big home run total, batting .345 for his 22-year career and finishing with 3514 hits, fifth all-time. Speaker spent most of his playing career with the Boston Red Sox and Cleveland Indians, winning three World Series with those clubs. He was inducted into the Hall of Fame in 1937 and made Major League Baseball’s All-Century team. After a decent rookie and second year, Roger Clemens exploded in 1986, going 24-4 with a 2.48 ERA, winning both the Cy Young and MVP awards and leading the Boston Red Sox to the World Series. Clemens would win his record seventh Cy Young 19 years later as a 42-year old. Over his 24 year career Clemens pitched for the Red Sox, Toronto Blue Jays, New York Yankees and Houston Astros. He lead the league in ERA seven times, strikeouts five times, wins four times and is a 14-time All-Star. He is also one of the poster players for the PED era. Clemens was named in the Mitchell Report as a steroid user and faced federal charges for perjury after he denied during a Congressional hearing he ever used steroids. Clemens was ultimately acquitted on all counts, but revelations during the trial just strengthened the public perception he was a cheat. Clemens became eligible for the Hall of Fame in 2013 and only received 37.6 percent of the vote, due to a reluctance to put steroid-tainted players in Baseball’s sacred shrine. When you think Hank Aaron, you think 755, which was the number of home runs he hit and the all-time record in four-baggers until Barry Bonds passed it. But Aaron was much more than just a home run hitter. He was a great all-around player who stole bases, won a couple batting titles and had three gold gloves to his credit. The 25-time All Star also banged out 3771 hits, good for third all-time, and is still the all-time leader in RBIs (2297) and total bases (6856). Aaron was remarkable in his consistency and longevity; the most homers he ever hit in a season was 47 as a 38-year old, and he smacked 40 homers with a .301 batting average the year he turned 40. Although he never topped hit the 50 homer plateau, he is he only player in baseball history to hit over 30 15 times. Hammerin’ Hank was elected to the Hall of Fame in 1982 with 97.8 percent of the vote. At the time that was the second highest percentage ever. It’s been well-established that Ty Cobb was not a nice man. But he sure could swing a bat. The Georgia Peach knocked out 4189 hits over his 24 year career, a record that stood 57 years until Pete Rose broke it 1985. But, unlike Rose, whose career batting average was .303, Cobb’s career mark was .366, still the highest in baseball history. Cobb only batted under .320 once in his career and that was a 18-year old rookie. Cobb also swiped 893 bases and scored 2245 runs, which was a record until Ricky Henderson broke it. He stole home 54 times over his career, led the league in slugging eight times and at one point had won nine batting titles in a row. 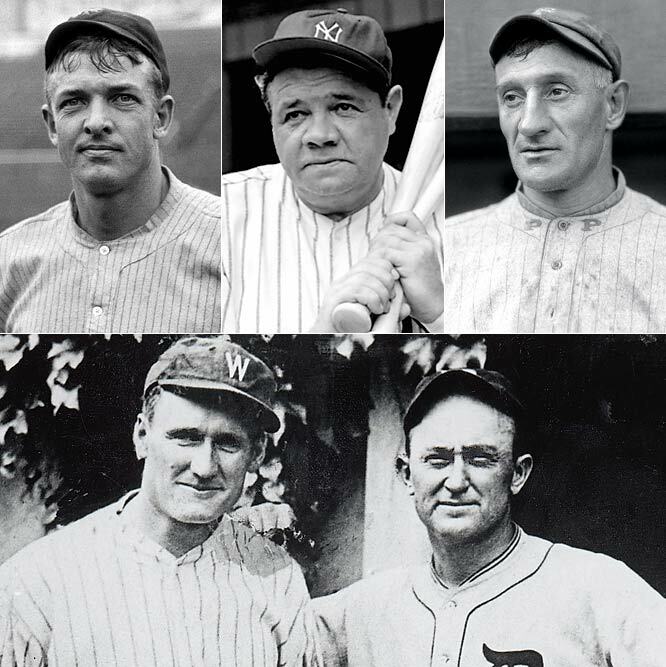 Cobb was part of the inaugural Hall of Fame class of 1936, and topped fellow inaugural inductee Babe Ruth for the highest percentage of votes. Willie Mays was the epitome of the five tool baseball player. The Say Hey Kid could run, hit, hit for power, throw and field. And he was able to flash all of those tools with great consistency throughout most of his 22 years in baseball. Playing his entire productive career for the New York/San Francisco Giants, Mays finished in the top six of the MVP balloting 11 times, including two wins, made 25 all-star teams and led the league in home runs four times and stolen bases four times. Willie Mays was ranked second on the Sporting News 1999 “List of the 100 Greatest Baseball Players.” He was inducted into the Hall of Fame in 1979 with 94.7 percent of the vote. Barry Bonds’ father Bobby was one of the best players of his era. His Godfather Willie Mays was one of the best player in baseball history. His second cousin Reggie Jackson was also one of the best players of his era. In terms of his on-field performance Bonds exceeded them all. Bonds came into the league with Pittsburgh in 1986 and won two MVPs during his seven year Pirates tenure, during which he was known for his all around game. Then he signed with San Francisco, immediately winning a third MVP and continuing to put up 30/30 type numbers with a very-high on base percentage. In 2000, as a 36-year old, Bonds exploded for a career high 49 home runs. The next year he slugged an all-time record 73 dingers to start a streak of four straight MVP. He reached base at a record .609 clip in 2004 as 40-year old. Nobody had ever had a late career surge like Bonds’, and soon it was stained by allegations of PED use that gained more and more credibility as the details of his relationships with shady chemists and trainers were revealed. Even without Bonds’ post-35 explosion — when he presumably started taking banned substances — he would have been one of the greatest to ever play. But his amazing, tainted geriatric run makes him the hardest of all baseball players to evaluate. Walter Johnson played his entire career for the Washington Senators and throughout most of that time the Senators were the worst team in the American League. Yet Johnson ended up winning 417 games. 64 times — or in about 10 percent of his starts — Johnson was involved in a 1-0 decision, winning 38 of those games. The Big Train was head and shoulders above his peers in terms of strikeouts, leading the league 12 times in that category and finishing his career with 3509 Ks. 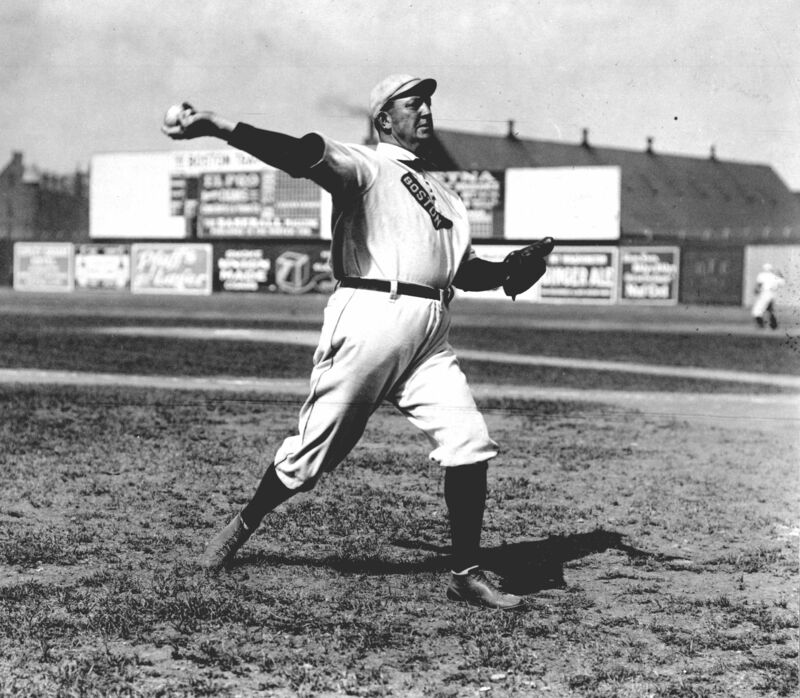 Johnson remained the only member of the 3000 strikeout club for over 50 years. Eleven times Johnson posted an ERA under 2.00. He won 2 MVPs, pitched an all-time record 110 shutouts and in 1924 he even led the generally hapless Senators to a World Series title. Johnson was elected to the Hall of Fame in 1936 as one of the original five members. Key Statistics: 417 wins; 2.17 ERA; 3509 strikeouts; 110 shutouts. You know you’re good when they name your profession’s most prestigious award after you. Yes, it was different time but Cy Young pitched a mind-boggling 749 complete games during a career that ran between 1890 and 1911. During his rookie year Young started and won both game of a doubleheader. He ended up with 511 wins (and 316 losses), pitched three no-hitters, including a perfect game, and once threw 25 ⅓ consecutive hitless innings. In addition to his starting pitching duties, Young twice lead the American League in saves. Denton True Young was also a pretty good hitter during his career, and finished with 18 home runs. Young was elected to the Hall of Fame in 1936 as one of the “Five Immortals” who made up Cooperstown’s initial class. Key Statistics: 511 wins; 749 complete games; 2.63 ERA. While completely revolutionizing the way the baseball is played, Babe Ruth led the league in homers 12 times, .OPS 13 times, walks 11 times and hit .342 for his career. Yet if we were only talking about Babe Ruth the outfielder he would be in the third spot on this list, trailing Johnson and Young. But that wouldn’t account for the 20.6 WAR Ruth put up as a pitcher. Yes, before Ruth was the slugger all others are still compared to, he was one of the best pitchers of his era, sporting a lifetime record of 94-46 with a paltry ERA of 2.28. Among the highlights of his pitching career was dominating the 1918 World Series by going 2-0 and giving up just one run in 17 innings pitched. And that’s really all you need to know about Babe Ruth, America’s first ever sports celebrity and the greatest baseball player of all-time.